Bay County is fortunate to have a collection of economic development assets much stronger than typically found in communities of its size. The area offers many competitive advantages which makes Bay County and the greater Panama City area the right place for you to do business. It is owned by the Panama City-Bay County Airport and Industrial District and governed by the Airport Authority. Located in Florida’s first sector planned development, West Bay, the airport was built on 4,000 acres, donated by The St. Joe Company, with ample room to meet the demands over the next 50 years. The airport replaced the Panama City-Bay County International Airport (PFN) which was located in the City of Panama City just off of North Bay. Traffic at the old airport averaged 350,000 passengers per year. From May 2010, when the new airport opened, to 2017, ECP has seen record growth with annual traffic nearly at 1,000,000 passengers. 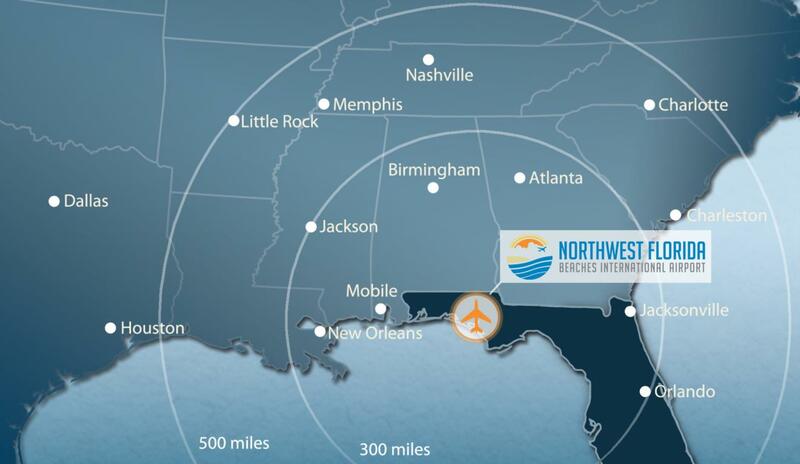 Surrounding the Northwest Florida Beaches International Airport and encompassing 71,000 acres is West Bay, a new regional economic center and master planned community by The St. Joe Company. It is Florida’s first approved Sector Plan, allowing for planned development over the next 50 years. The West Bay Sector Plan’s initial entitlements accommodate 4.4 million square feet of industrial, commercial and retail uses, 27,000 residential units and 900 marina slips. In its first phase, over 1,000 acres is planned with “through-the-fence” access to the airport runway. Approximately 39,000 acres will forever be preserved along West Bay and its tributary creeks as part of an environmental conservation program. In 2015, The St. Joe Company received approval for the Bay-Walton Sector Plan, an update and expansion of the West Bay Sector Plan. 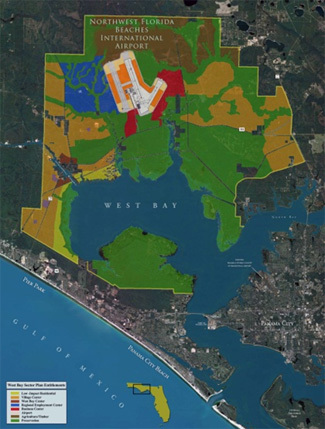 The expansion area is located immediately to the west of the West Bay Sector Plan in Bay County and Walton County, Florida. The Bay-Walton Sector Plan is a large scale and long-range plan that provides a 50-year vision for directing growth, development and environmental resource protection. Learn more at bay-waltonsectorplan.com. 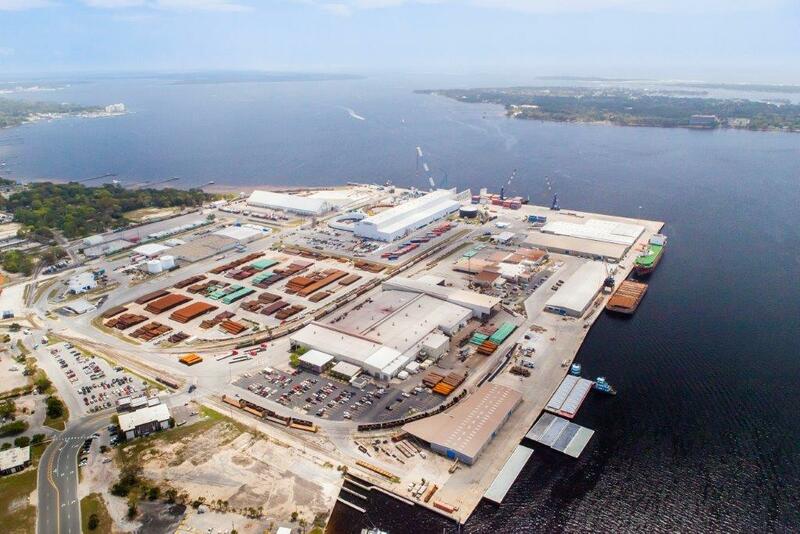 Port Panama City is a growing deep-water port and international gateway, handling a wide variety of cargo, and offers the best shipping connections to Mexico than any other port in the United States. In recent years, the Port has invested over $50 million in new facilities and equipment. Over the next five years, the Port plans to increase its cargo tonnage to an annual level of approximately 2.1 to 2.4 million tons, and has committed to another $65 million in improvements. Panama City’s location provides a Gulf Coast gateway to shippers and consignees in Georgia, Alabama, Florida, Tennessee and the Carolinas. The Port also serves as trading partners to Mexico, Central America, South America, China, Europe and the Mediterranean. The Port is equipped with modem loading and unloading facilities for truck, rail, barge, container, RO-RO vessel and deep-water vessel traffic. On-site rail is provided by the Bay Line Railroad, which connects to the Port’s Intermodal Distribution Center, a 240-acre pad-ready inland industrial park featuring a new 150,000 square foot distribution warehouse and a 54 acre McCallum Sweeney certified site. The Gulf Intracoastal Waterway, a 1,050-mile inland navigable waterway from Carrabelle, FL to Brownsville, TX, is located adjacent to the Port providing access to the Mississippi River and numerous southeastern ports. Port of Progreso, Mexico has a Sister Port agreement with Port Panama City. The two ports pledged to promote shipping activity and increased commercial opportunities along the corridor. The Port of Progreso is located on Mexico’s Yucatan Peninsula, 575 nautical miles from Port Panama City. Port of Progreso handled about 4.6 million tons of cargo in 2009, and the 160–acre port has almost 8,000 feet of commercial dock space, silos for grain storage and a cruise ship terminal. The Bay Line Railroad, operated by Genesee & Wyoming, is a 103-mile short line freight railroad that interchanges with CSX Transportation and Norfolk Southern. Service connects to CSX’s 21,000-mile network in Cottondale, FL and Dothan, AL serving major population centers in 23 states east of the Mississippi River and parts of Canada. Norfolk Southern’s network connects in Dothan, AL, serving 22 states and every major container port in the eastern U.S. 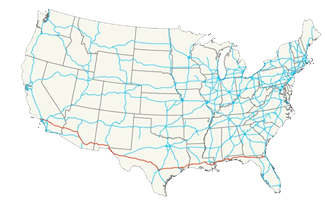 Highways connect Northwest Florida to destinations throughout the U.S., including the southern-most Interstate highway, Interstate-10. I-10 is approximately 10 miles north of the Bay County line and 45 miles from Port Panama City. It links Florida to California, stretching from I-95 in Jacksonville, FL to the Pacific Ocean in Santa Monica, CA. I-10 intersects with nine of the 10 north-south Interstate highways. These distances were calculated from Panama City, FL, which is Bay County’s county seat and principal city (Source: Geobytes.com). Bay County is connected through a variety of other highways, including U.S. Highways 98 and 231, State Highways 20, 22, 77 and 79 and County Roads 388, 389 and 390. Highways 77, 79 and 231 provide access to I-10. Two regional connector roads are also currently in the planning stages. The Gulf Coast Parkway and West Bay Parkway will provide convenient connections between adjacent counties and the Northwest Florida Beaches International Airport and enhanced transportation access for business and leisure corridors. The Gulf Coast Parkway is designed to connect U.S. Highway 98 near the Bay County/Gulf County line to U.S. 231 in Bay County, north of Panama City. The proposed roadway would also provide a tieback to U.S. 98 in Springfield to provide a bypass around Tyndall Air Force Base. This project is currently in the Project Development and Environment Study phase. For more information, visit www.gulfcoastparkway.com. The West Bay Parkway will be a four-lane road about 24 miles long, connecting Walton County to Northwest Florida Beaches International Airport. This project is currently in the Project Development and Environment Study phase. For more information, visit www.westbayparkway.com.